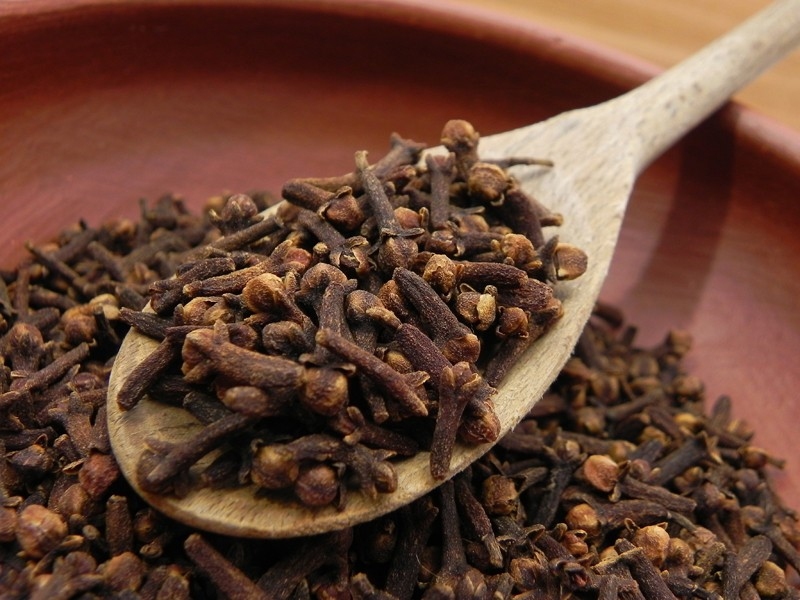 How Can Cloves Help with Toothache? If you have ever experienced toothache, then you know how excruciating it can be. Worse than many types of pain. However, a dentist can give you something to alleviate the pain. But, what if you can’t get to a dentist fast enough? You may have to contend with the throbbing pain that never seems to end. This is the reason why there are many over the counter pain medications and home remedies. Home remedies include using cloves for toothache. Cloves have traditionally been used for pain relief. This has received scientific backing in recent times. It has been found that a compound in clove oil known as eugenol has substantial analgesic (pain relieving) and anesthetic properties. Eugenol works by blocking some pain receptors within minutes of taking it. This effect lasts for about 15 minutes. A scientific study found that clove oil has similar effect to the dental analgesic known as benzocaine if used prior to insertion of the needle. Clove oil is also antiseptic for which reason it is used to prevent gum disease. Most clove based remedies use the essential oil, although clove powder is also used as a dewormer. The powder is also used in Ayurvedic medicine to treat digestive problems like indigestion, nausea and flatulence. Clove oil or powder is also used in naturopathic medicine to reduce overgrowth of fungi, bacteria and intestinal parasites. Cloves may be used whole, powdered or as essential oil. To find out what works best for you, you may need to try the different forms. You probably have ground cloves in your kitchen. To use cloves for relief of toothache, put a pinch of clove powder between the gum and the cheek and leave it to soak with saliva. This part of your mouth will feel numb within minutes. Put two or three whole clove buds into your mouth where you have the pain and let them soak with saliva. You may also chew on them to aid soaking and mixing of clove oils with saliva. Keep the cloves around the pain site for about thirty minutes. Repeat when necessary. Clove oil is available in many pharmacies. Besides, you can buy toothpastes that contain eugenol (clove oil) and use them for toothache relief. And clove being a natural product, you may also get clove oil from natural health food stores. You only need a small amount to relief tooth pain. Dip a clean cotton swab in clove oil and apply it to the painful gum area. It is even more effective when you place the swab on the exact painful site such as a cavity so that the oil gets to the nerve itself. Use warm salt water or Listerine to rinse your mouth. Add 2 - 3 drops of clove oil to half a teaspoon of olive oil and mix. Use the mixed oils to soak a ball of cotton, place it on the painful tooth and hold it there to relief the pain. Take caution when using clove oil because it can cause burns. Large oral doses of clove oil may be lethal. 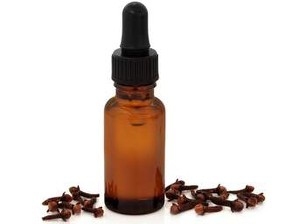 Never use clove oil either topically or orally on children under two years of age. Pregnant women, people with diabetes and those using blood thinners should seek medical advice before using eugenol. Clove tea has a spicy aroma and rich flavor and is another effective way to use cloves for toothache. Steep a teaspoon of cloves in half a liter of boiling water and drink some when needed. Do not take large amounts of clove tea because cloves have an anticoagulant effect and may thin blood. For this reason, avoid any form of cloves if you will be having tooth extraction surgery as this could lead to excessive bleeding. Grind a few cloves into a fine powder, add it to a glass of warm water and use it to gargle for relief of toothache. Gargling also helps to remove bacteria in the mouth. Besides using cloves, this is usually a temporary measure. For long-term dental health care, consult a dentist. Treatment for these conditions requires a dentist’s attention. Keep clove oil or other forms of cloves for emergency toothache relief but consult a dentist to fix the cause of the problem. · Peppermint oil contains about 40 percent menthol which can help relief pain in a similar way as clove oil. Make sure you dilute it before use. · Sea salt reduces pain and inflammation. Add a teaspoon of the salt to a glass of warm water and swish for one to two minutes. · Cleaning your mouth thoroughly helps to remove food particles trapped between teeth and causing pain. Besides brushing, also floss your teeth and rinse using antiseptic mouthwash. · Over-the-counter painkillers such as ibuprofen and Tylenol can help reduce toothache pain and sensitivity. · Oral antiseptics can help reduce irritation and offer temporary toothache relief. Seek for a product containing benzocaine that can numb the pain away.